The Highway Patrol is investigating an early Monday morning accident on I-70 in Muskingum County. It happened around 3:00 am in the westbound lanes just east of Adamsville and involved three semi tractor trailers. One driver was reported trapped in his cab and had to be cut out by first responders. 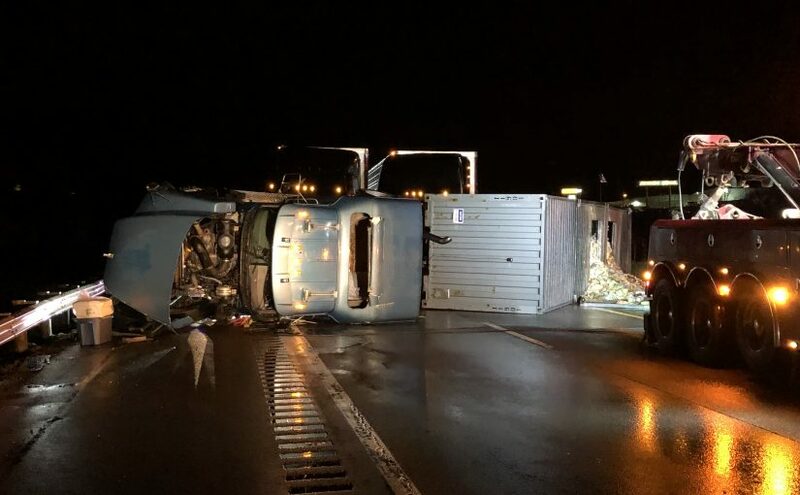 Muskingum County Emergency Management Agency Director Jeff Jadwin says one of the semi’s ended up on its side across the highway and the two other semi’s slammed into it. 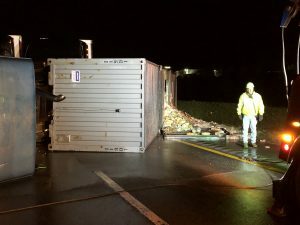 The semi on its side was carrying rotten bread. The westbound lanes of I-70 remain closed while the scene is investigated and cleared. Jadwin says the detour is US 40. One driver was transported to the hospital for treatment of injuries.